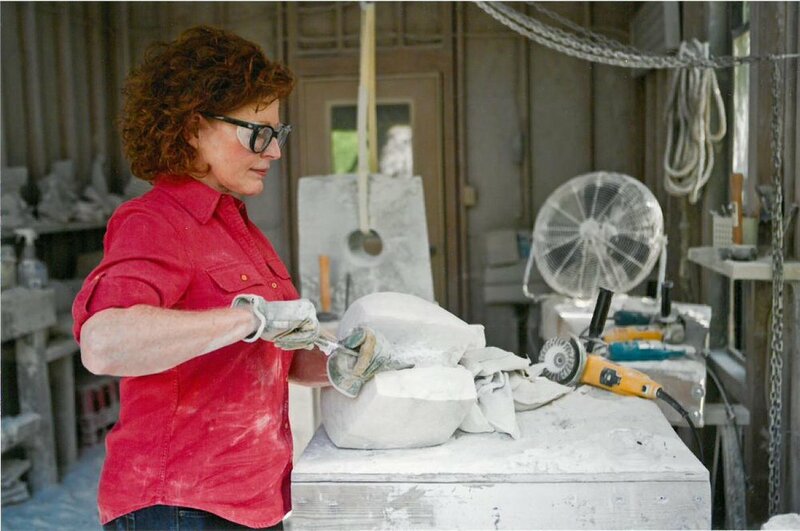 Local sculptor and arts advocate Verina Baxter (1950 - 2015) changed careers in the early 1990s from banking to art after taking a class in stone carving at Arrowmont School in Gatlinburg. First working with different types of stone such as alabaster and marble, and then with various metals including bronze and stainless steel, Baxter dedicated herself to sculpting full time in her 40s. Born and raised in East Ridge, Verina Baxter’s works were inspired by her many interests. She was a voracious reader, and loved to travel internationally. The natural forms that are apparent in her pieces correspond with her avid gardening. Initially only using metal as support or embellishment for her stone pieces, Baxter became more and more intrigued by the process of turning metal. The attention to detail, to achieving a particular machined finish is especially obvious in the precision of her Industrial series. The Hunter’s exhibition delves into twenty years of Baxter’s artistic career, and will include some of her earlier figurative pieces as well as her Rods, Industrial, and Table series. Baxter also experimented with colorful abstractions, many of which will be featured alongside her sculptural pieces.